This modern unit features huge vaulted ceilings, a skylight, a wood-burning fireplace, dishwasher, microwave, walk in closet, loft, an on-site laundry room, and off-street parking. 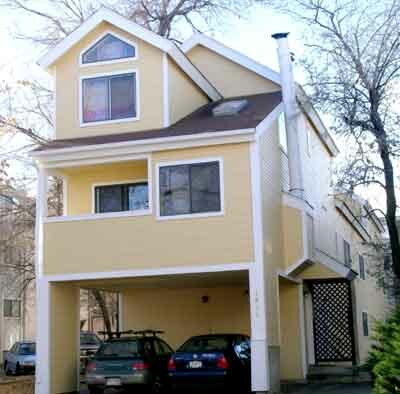 Great central location close to downtown or CU. Available 8/8/19. Maximum occupancy is 2. License number RHL-0007177.